The state of Sikkim lies in the Himalayan ranges and is bounded by Nepal, Bhutan and Tibet. Natives of this state are of mongloid race and many practice Buddhism. 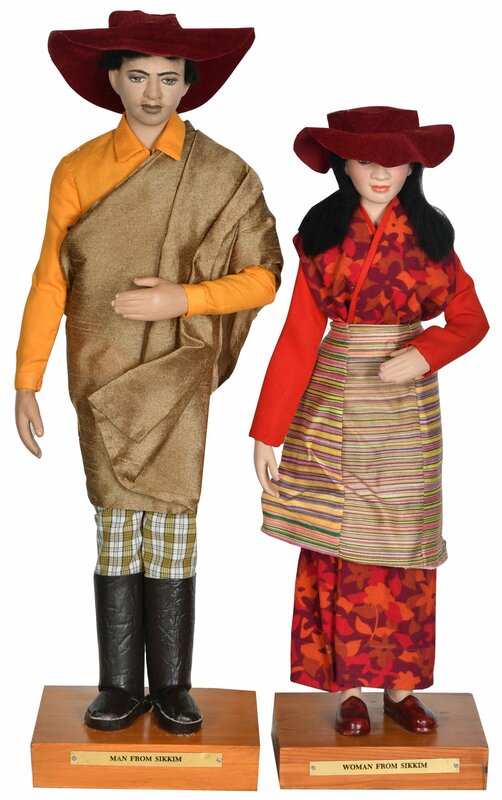 The Sikkim men wears loose trousers and a ‘baku’-a coat fastened on one side. In cold weather he adds a vest (sart), a woollen hat and leather boots. The women wear a sleevless ‘baku’ with a long –sleeved blouse inside which they pull to the back and tie. They wear an apron, ’kho’, tied to their waist. A woollen hat is also worn in winter.